Though it can sometimes be a bit tricky to deal with, the driving force behind creative industries is the passion of their fans. No one could make a living off of their ideas simply by putting them out there unless there was someone willing to buy, and the biggest challenge for any creative person is to find that audience and reach them. And the more passionate that fan base gets, the better our chances are for survival as they will generally make their favorite creators part of their proverbial family in many instances, even part of one’s own identity. They put on costumes, they recommend to everyone they know, and they find ways to include your work into conversations. They are, by and large, the most powerful advertising tool a good product can have. But sometimes, they aren’t quite enough. Why did the good show get cancelled and not that other crappy one? This last batch of cancellations, and a few surprise rescues, were pretty heavy on the speculative fiction crowd. A few comic book related properties have announced their next season will be their last, The Expanse was cancelled and then resurrected by Amazon, and Lucifer got the same treatment only to be rescued many weeks later by Netflix. This happens all the time, but when it hits favorites within your own community it becomes a lot harder to tune out. I watch several of the shows that got the ax, and I’ve felt the sting in the past myself. I was a fan of Firefly before it went to home video and achieved its cult following, which, given its initial ratings, makes me a unicorn. I was also a fan of Star Trek: Enterprise despite a rocky first couple seasons and thought it’d found its footing in its last season before it came to an abrupt end with an episode most people aren’t too fond of. 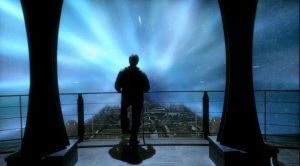 And don’t get me started on what happened to Stargate Universe once it finally started to live up to its promise. 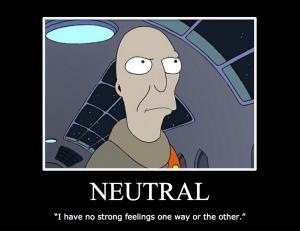 And every time it happens, someone eventually says the inevitable: “Why did they cancel [show I like] and not [show I hate]?” And generally the impression going through someone’s mind as they say this is that the show they think should be cancelled has no value, or has seen a steady decrease in quality. So, of course, they believe that the show is a better choice for cancellation. Everyone has at least one show they think jumped the shark and is more deserving of cancellation. But often the individual opinion, while sometimes voiced loudly, doesn’t actually reflect the mainstream opinion as much as we would believe. The list of shows that people would recommend to cancel is fairly extensive, but for the sake of demonstration, let me use one that’s been thrown around a lot over the years. It’s conventional wisdom that The Simpsons lost its charm a long time ago and has steadily dropped in quality over the years. Time and time again, as it gets renewed for a new season, someone asks why it would get more seasons when it “hasn’t been good in years”. And most of the time, those people will be under the impression that no one really watches The Simpsons anymore. In fact, a lot of them will say that The Simpsons started dying around Season 7 to 9 and that it should have probably been cancelled well before it hit its 20th season. Yet, if you were to look at the ratings the show has had over the years, it becomes incredibly clear why this show is renewed time and time again. Though you’d be forgiven for not realizing it, because few of us ever actually look into the numbers, The Simpsons has actually had better than average ratings for the majority of it’s near 30 year run – even after people started to disavow it. In fact, this last season, despite being its worst season in terms of ratings ever, still never dropped below 2 million viewers and averaged 3.45 million for the season. And while the fact they’re even near 2 million viewers is a pretty sad state for the show, that means that the average Simpsons episode still beat another darling that recently got cancelled and rescued, Brooklyn 99, which averaged 1.76 million viewers in its last season on Fox. 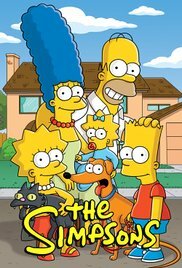 Despite the general consensus that The Simpsons lost its charm, it still does better than the fan favorites. And, in fact, if you go back to before The Simpsons movie came out in 2007 you find that people were still claiming the show was dead when it was pulling in an average of 9.15 million viewers. So while there’s a clear downward trend (and there’s a good chance it may finally die in a few years as it’s finally nearing the “bubble” numbers), the fact is that conventional wisdom was wrong – people have still been watching The Simpsons, and even their worst ratings have outperformed shows people love. So how the hell does that happen? How is it something that people love can perform so far below the expectations? How is it that a show with enough fan support to get put back on the air on another network somehow didn’t have ratings better than a show generally decried online? Well, bluntly: people who love or hate shows are both outliers most of the time. Everyone else is somewhere in the middle. One of the things to remember about audiences is that humans, by and large, will collect around things that offer them the most comfort for the least effort. This really kind of extends to everything as you can see, time and time again, that providing people a choice of what they want to do and where they want to do it will generally lean towards something that has that prime cost-benefit ratio. We’ve all had that moment where an option is provided to us where it sounds like we would have fun, but at the same time we don’t really want to have to move from where we are because where we are is just so damn comfortable. We tend to call ourselves lazy when we do it, and some part of it is being lazy, but the truth is that there’s just a little bit of inertia happening there because people who live those much more active lives will have just as much difficulty sitting down. We don’t like to be forced out of our status quos, and for a lot of people The Simpsons and a few other shows are the status quo. Maybe it’s not as good as it once was, but it’s both inoffensive and familiar, and people like that. Alternatively, for as much love as Brooklyn 99 gets, it didn’t have 2 and a half decades of familiarity to keep people watching, so it pulled in lower numbers despite having a super passionate fan-base. To put it another way, while Brooklyn 99 had a fairly large group of people who love it, The Simpsons (and a few other sitcoms and animated series) has an even larger group of people who simply say “it’s okay”. In fact, for every show you look at, no matter how popular it may or may not seem, you’ll find that the passionate fans (and haters) are generally a fraction of the total audience. Part of this is because what we love is usually unique in some way. We become so used to the familiar that the things that actually excite us are the things that are fresh. But, despite the fact that freshness is good for the fans, unique tends to be unfamiliar, and unfamiliar can polarize audiences. For every person who absolutely loves something, someone else hates it for the same reasons. And that means that shows with those bigger “okay” groups, even if it’s a mediocre show, can be theoretically more sustainable over time. 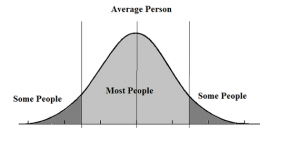 This doesn’t mean creators should avoid being unique, but it does mean that the more unique your work happens to be, the more exciting it is for a niche audience, the more it has to be sustained solely by that niche audience. This is fine for most media, mind you. As I pointed out not very long ago, 99% of humanity doesn’t care about popular fiction and that’s perfectly okay. Getting only 0.1% of people to buy your books would be an astounding number of copies sold and would make you a phenomenal success. The most popular comic books only sell copies to 0.0013% of people. And the movies based on those comics, the world record breaking phenomenons? Generally less than 1% total. So having only a “relatively” small but passionate fan-base can make any creator incredibly successful. But television’s business model is a slightly different animal. All other passionate fan-bases can carry their favorites with relatively low numbers because those other mediums are paid for directly. You buy the movie ticket, a copy of the book, or a copy of the comic and that means that you’re actively supporting the thing you love in a way that the publishers or producers can appreciate. But broadcast television makes its money on commercials being paid for at rates related to the ratings. How much is a company willing to pay for a 30 second spot that will be seen by 1.3 million people? Sadly, not enough in a lot of cases. For basic cable the bar is lower because basic cable also makes money off of cable subscriptions, so shows like The Expanse can get away with far lower numbers than broadcast. But even then, a show like The Expanse is an expensive show to make and it averaged only half a million live viewers. That used to mean a show was dead and couldn’t be recovered – but not anymore. One notable change in the recent few years has been how many of these shows are rescued by other outlets so soon after cancellation. 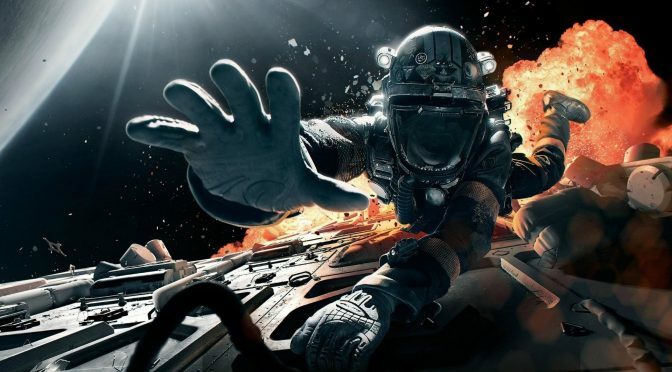 The Expanse, Lucifer, and Brooklyn 99 all found new homes – two on streaming services and one on another network. And the reason why is because each of them had something that most shows on the cutting room floor didn’t have in the past – video on demand ratings. With the rise of Netflix, Hulu, and Amazon Prime, the passionate fan-base totally has the power to just hand money directly in support of these shows again. 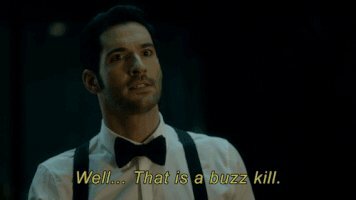 In fact, while Lucifer’s same-day ratings only averaged about 3.2 million (not good for a one hour drama on broadcast TV), its VoD ratings were strong enough that part of the delay of it getting picked up was due to a little competition between Amazon and Netflix.